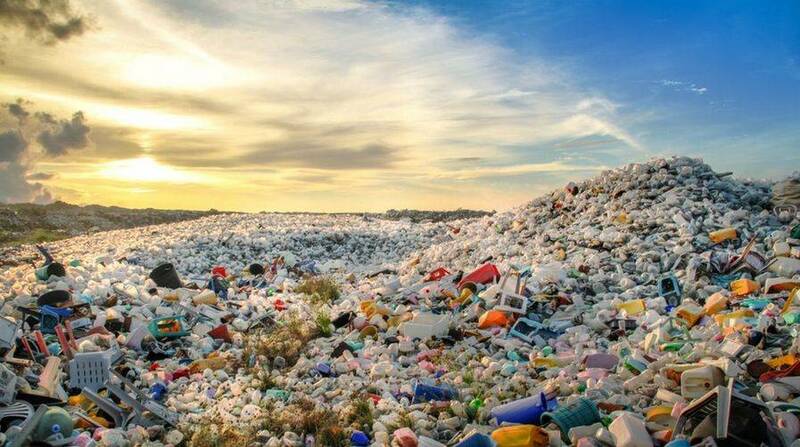 A scientific team developed a novel catalyst that breaks resistant chemical bonds, making the technology of recycling of plastic waste more effective and fast. This innovational technology will cope even with nylon, which is characterized by strong bonds and requires high-energy consumption. Furthermore, this development can be used in the field of pharmaceuticals. 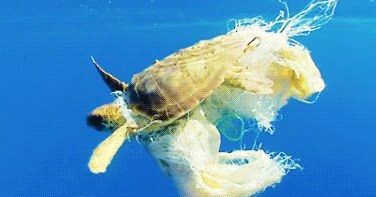 The production of plastic has increased every year by 8%. More plastic was produced over the last 10 years than during the entire 20th century. The technology of decomposing plastic waste was made by the group of scientists from the Nagoya University. Long chain molecules are characterized by powerful chemical bonds, which are common to various natural molecules, synthetic pharmaceuticals and artificial plastics. Amides are ubiquitous and abundant in the world but are very stable and reluctant to salt-free, catalytic chemical transformations. As a result of high thermodynamic stability and kinetic inertness amides have been found in natural systems for millennia, as the repeating units of functional polypeptides (proteins), and have more recently become a valuable commodity as the monomer units of synthetic polymers including poly(acrylamide), nylons, and Kevlar produced on an enormous scale. Despite the fact, that amide bonds provides plastics with the great strength, when the recycling at a later point occurs, the problem of laceration usually prevents recovery of useful products. Typically, catalysts are used in chemistry to accelerate chemical reactions. To break the amide bonds in plastics requires rigid conditions and a lot of energy. Scientists created a series of organometallic ruthenium catalysts to destroy even the strongest amide bonds under mild conditions in a very effective way. Hydrogenation is the most significant process of the destruction. Scientists studied functions of hydrogen on the catalyst in the reaction pathway and modified the form of the supporting framework. This ruthenium atom can adsorb hydrogen and bring it into the amide bond to make the destruction. 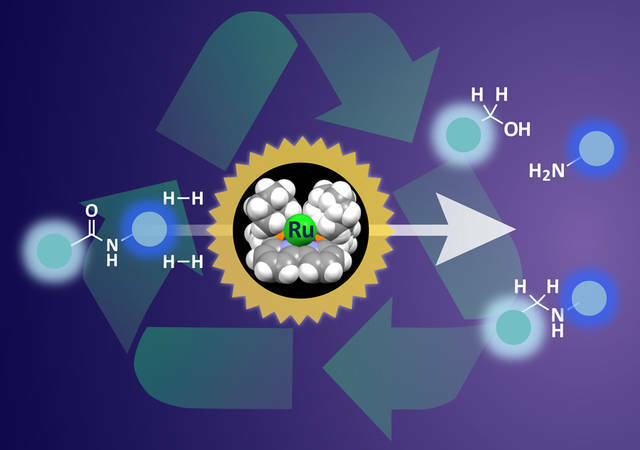 Through the activation of a sterically confined bipyridine–ruthenium (Ru) framework of a precatalyst, catalytic hydrogenation of formamides through polyamide is achieved under a wide range of reaction conditions. Both C=O bond and C–N bond cleavage of a lactam became also possible using a single precatalyst. Takashi Miura mentioned that this novel catalyst has the ability to hydrogenate various organic compounds under mild conditions. Professor Susumu Saito mentioned that this technology can be used in pharmaceutics and, furthermore, it can restore materials from waste plastics to perform an anthropogenic chemical carbon cycle.